The symbolism of Blue colored butterflies and Blue Butterfly myths, legends, superstitions and related folklore from around the world. Some believe that seeing a blue butterfly can make a person feel blue. In some cultures, the blue butterfly is considered as a malicious or vindictive spirit. A blue butterfly is often considered as a sign of life. But in most cultures, the blue butterfly is a symbol of acceptance, honor, and great energy. A blue butterfly can also symbolize the passing of time, change, and meaningful purpose in life. Seeing a blue butterfly or holding it can have a calming effect on a person. 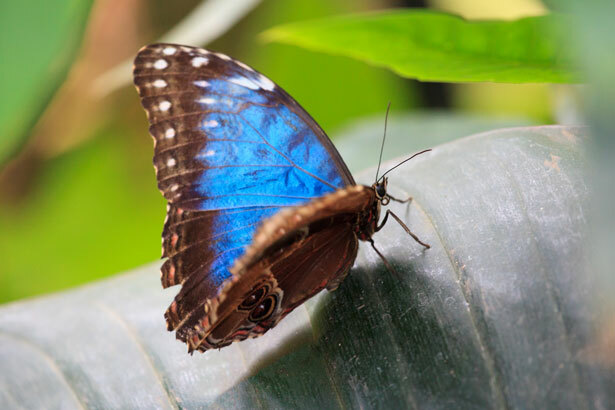 In some part of the world, blue butterflies are rare, so it is considered extremely lucky to observe one. The blue butterfly is a symbol of Spirit speaking through transformation and change. In some cultures, spotting a blue butterfly is thought to bring sudden good luck. Blue butterflies are also considered wish-granters. Spotting a blue butterfly means that a wish one makes or made will come true. A blue colored butterfly is often thought to symbolize joy and happiness.